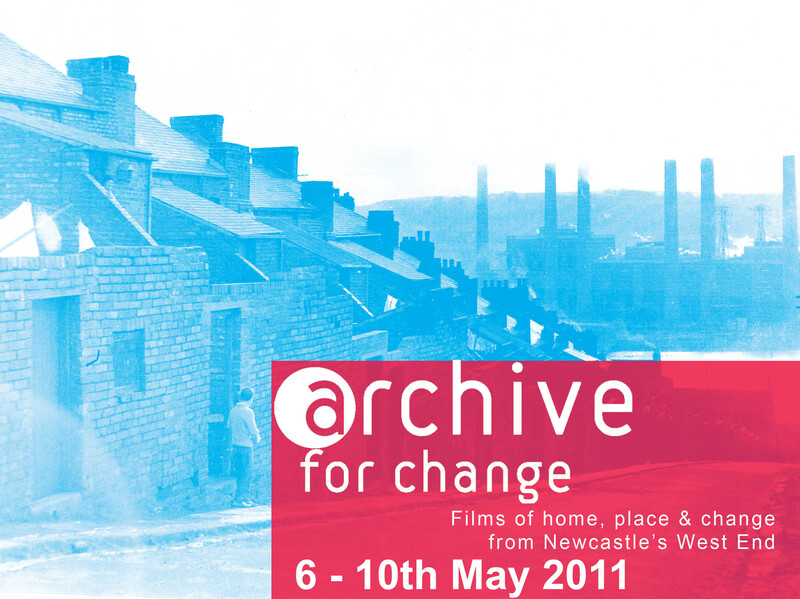 The Archive for Change exhibition will take place across three different venues around Benwell and Scotswood. Each venue will present work on a particular theme and in unique way, representing the stories and people who have been involved. Embedded amongst the furniture, explore the stories and personal experiences of change from those who lived and documented the houses and communities that once stood in the area. The changing face of the high street, local peoples’ community initiatives, current residents who are documenting local demolition, passionate voices & childhood memories. Large scale projections take over this beautiful historic 19th Century church to tell the story of the area’s industrial heritage through the eyes of those who lived through it; the boom times and eventual decline that paved the way for so many changes in the social and built environment of the West End. 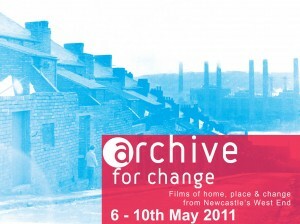 Archive corner: For the duration of the exhibition, a copy of all the films collected and made as part of Archive For Change will be available to watch here. Have a cup of tea in the lovely surroundings of the community-built and run Scotswood Diner and witness stories of community action past and present. Hear resident’s stories and efforts to organise and take control of their ever-changing landscape and their feelings about the future. Monday All venues open to public + the West Newcastle Picture History Collection at West End Library will be open between 9-4pm. Drop in and explore this fascinating volunteer-run photographic archive. Tuesday All venues open to public. St James: free refreshments available 12-2pm & a screening of a film made with Pendower Good Neighbour Project at 5pm. Free minibus tours will be running between the venues on Friday & Saturday. Friday: Buses will depart from Scotswood & Benwell locations in the morning & afternoon. Saturday: Buses will leave at 10.30am & 2.30pm from outside Newcastle Central Station. Places are free but limited. Please call 077 25 22 33 53 for more details & to book a place. Tours last approx 3hrs.